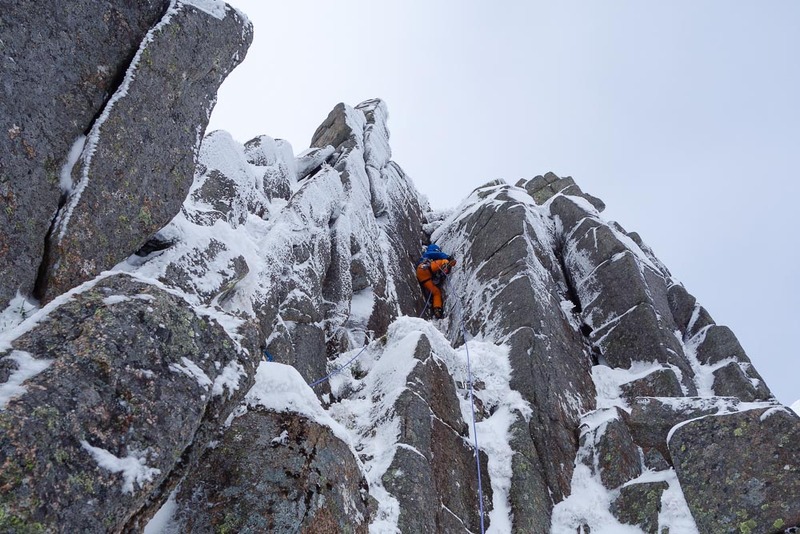 Today, the Scottish Mountaineering Club published a mini-guide to the popular and easily accessible Creagan Cha-no on the east side of Cairn Gorm. This is the first guidebook published for the cliff and includes all routes climbed until the start of the current season. Over 65 routes are described with grades ranging from II to VII and illustrated with eleven topos and a map. The cost is £2.99 and all profits go to the Scottish Mountaineering Trust. No doubt there will be a few other routes that have escaped inclusion, and many other new climbs will be climbed this season. So as usual, if you have any news about climbing on the cliff please get in touch so we can maintain the definitive record. This entry was posted in Commentary, New Routes and tagged Alex Riley, Caelan Barnes, Creagan Cha-no, Roger Webb, Sam Palmer, Simon Richardson. Bookmark the permalink.